So apparently Sony isn't about that whole posting a mini teaser trailer every day leading up to the actual trailer tactic that Jurassic World implemented, because no one was expecting this. We're a year away from the mysterious animated Spider-Man movie Sony has been working out independent from any of the Marvel Studios projects, but who would've thought we'd be getting footage this early. We learned a few months ago that the project would be focusing on Miles Morales (Played by Shameik Moore) which had been the rumor for quite some time, but we didn't know how the movie would look or what it would be about. Well this trailer certainly answered one of those questions, as the art style in this footage is truly something I personally have never seen on the big screen before. So the getting the obvious stuff out of the way, going off the end of the trailer and its title, we now know this isn't just a Miles Morales movie. When we first heard he would be the main character, we just assumed it would feature him in his regular comic book origins along with his supporting characters such as his best friend Ganke. But instead, what we see here is an adaption of the Spider-Verse storyline from the comics in which Peter Parker dies and Miles takes up the mantle from him. 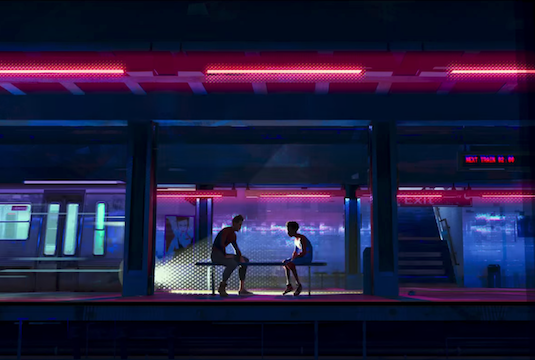 We see Miles standing by Peter's grave, but then of course we see the two of them talking in the subway station by the end of the trailer. But probably one of the biggest parts of this now being a Spider-Verse movie is the potential of how many different version of Spider-Man we're gonna see together on screen. At the end of the trailer, Miles hints at this when he asks Peter "How many of us are there?". There are of course many version of the character from different realities including Spider-Man 2099, Spider-Man Noir, and even Spider-Gwen to name a few. While none of these characters are confirmed for the movie yet, this could be a chance for Sony to adapt all these characters to the big screen who other wise wouldn't get the chance. 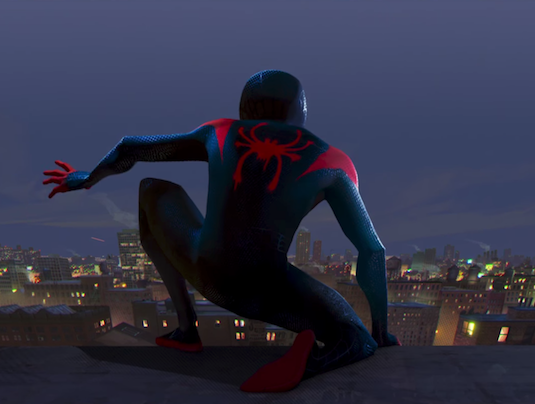 Other then the beautiful visual style that looks nothing like the generic animated films Sony has put out in the past, we get some great looks at the character design for the movie. There's a sign with the name Fisk on it, hinting at the Kingpin himself possibly making an appearance. We also see some hints of the films villains, including Miles' nemesis The Prowler, which is his uncle Aaron Davis. 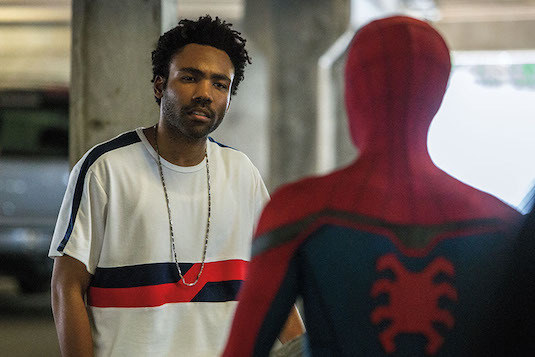 If you remember, Davis was actually played by Donald Glover in Spider-Man: Homecoming, where he also hinted at his nephew Miles. While the two movies are unrelated, this probably will be the only way we'll see the character go full blown villain as it isn't likely to happen in the MCU series. So what did you think of the trailer for Spider-Man: Into The Spider-Verse? Or you more interested in the movie now that you've seen footage? 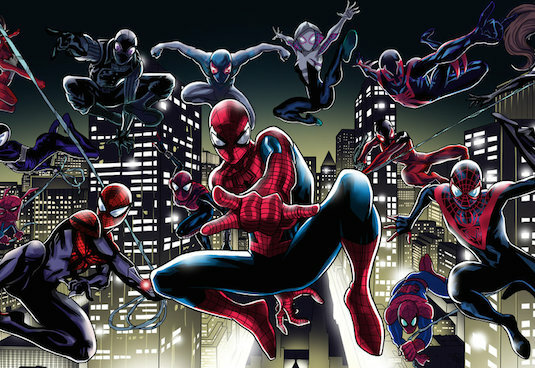 What versions of Spider-Man would you like to see appear? Let us know below!